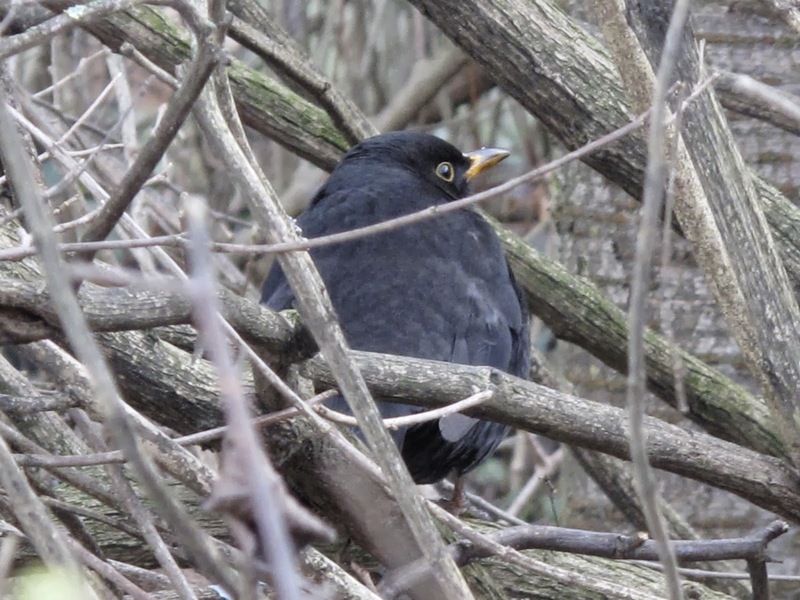 This morning I spotted this male blackbird sitting in a bush. 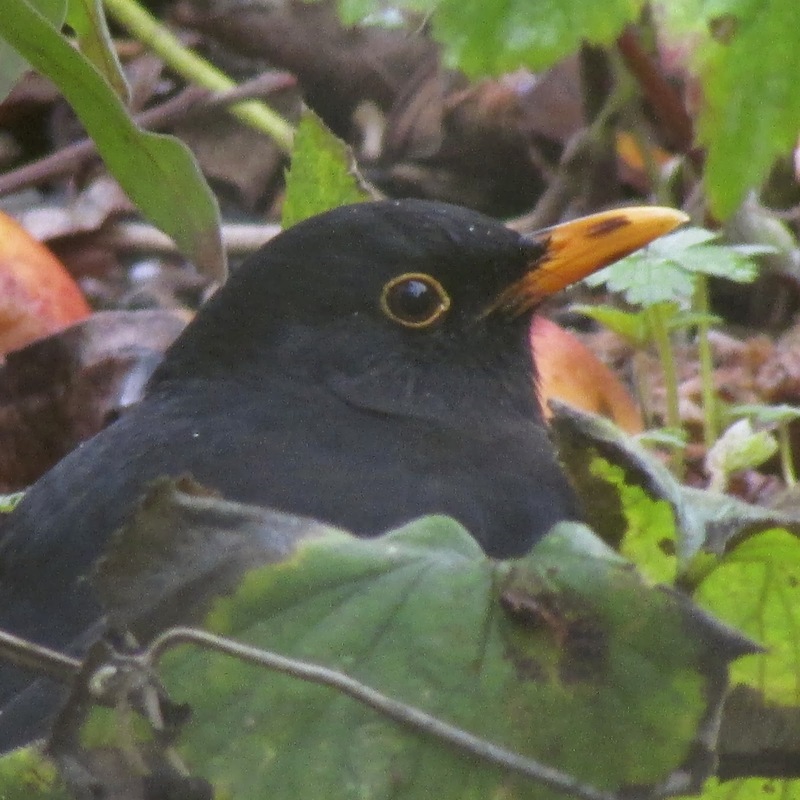 It had the brightest orange-pink bill I have ever seen in a blackbird, and it prompted me to finish writing this post that had been for a little while in my drafts folder. Carotenoids are pigments obtained from the diet in animals that give yellow to red hues to many sexually selected ornaments. Carotenoids are antioxidants and have a role in the immune system and if they are supplemented in the diet they often increase the condition, growth and survivals of organisms, therefore, their use as honest signals of body condition in a sexually selected context is one of their most studied roles: Females may assess male quality by using signals, if they are good indicators of the male body condition. 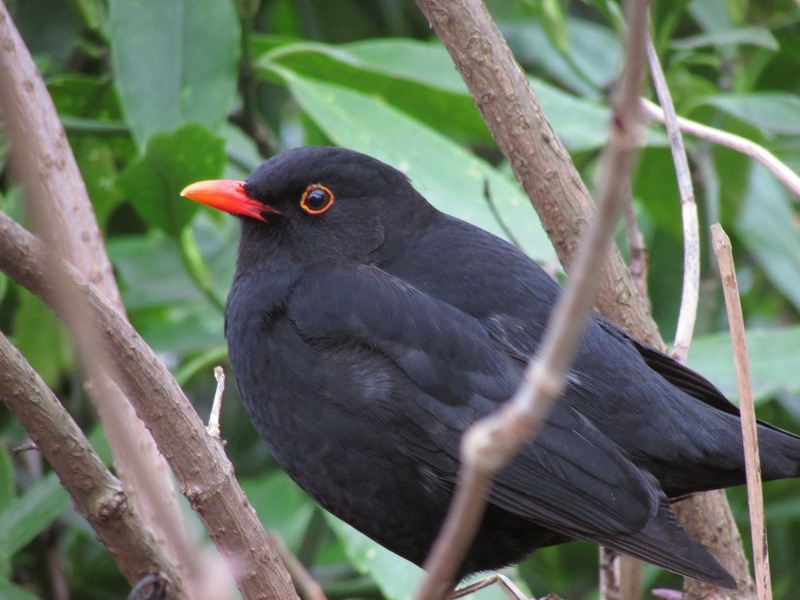 Blackbirds are sexually dimorphic: males have a black plumage and orange bill and eye ring, while females are brown and their bills are brown or have a pale yellow base. There is intrapopulation variation in bill colour. Young males often have black streaks or a black bill in their first winter and adult bills range from yellow to bright orange. Several studies have investigated the role of sexual selection in bill colour variation. Results show that male blackbirds with orange bills are heavier and larger, have less blood parasites and pair with females in better condition than males with yellow bills. Females in good condition start breeding earlier and make more breeding attempts during the breeding season, which correlates with the number of fledglings produced per year. The correlation between female condition and her partners bill colour appears not to be due to direct female mate choice, that is, as no preference in females for more orange bills has been found in two studies. It is possible that this correlation is due to males with brighter bills being able to secure better territories during male-male conflict, and the female choice happens on territory quality. 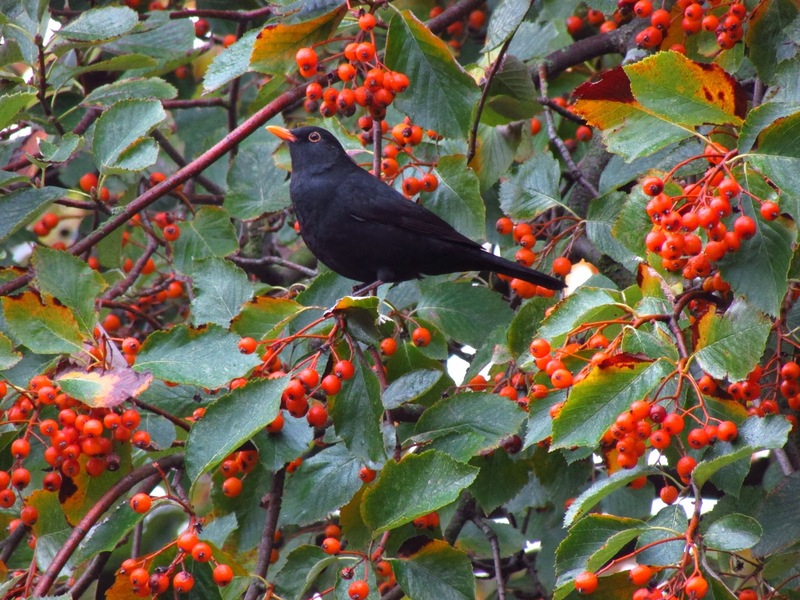 Although blackbirds are socially monogamous and form long-term pair bonds, there is a certain amount of extra-pair copulations and it is not known if polymorphism in bill colour determines how many extra-pair copulations can males achieve. It is surprising how much there is to learn from such a common bird. 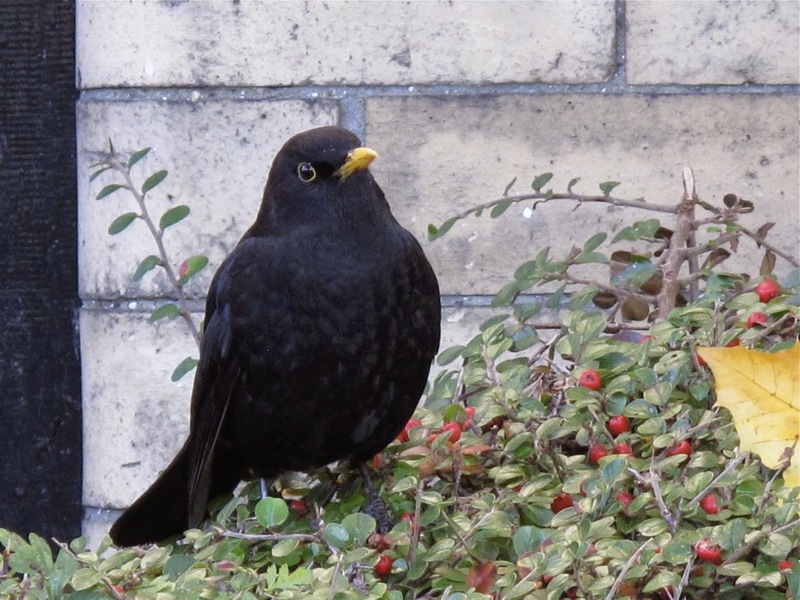 Here are some photographic examples of bill colour polymorphism in male blackbirds. An adult male with yellow bill. A great post again. Does the shade or brightness of the male blackbirds bill change when coming into breeding season. I have noticed that the male yellowhammers in my area have over the last few weeks gota lot more yellow. Is this also due to the same reasons as the male blackbird do you think? Thank you Tony. It is a good question and it would make sense that males displayed brightest bills as the breeding season approaches, although I have seen no studies on this. Often with plumage the colour becomes more visible as the feather fringes weathers, as in male sparrows. I wonder if the same happens with yellowhammers.